The only Oscars ceremony that had a specific effect on my life happened thirty years ago, when I was six years old. 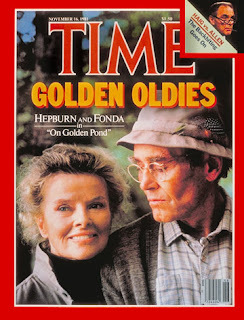 It was the 54th Academy Awards, and On Golden Pond was our local hero, having mostly been filmed about ten miles away from my house. Everybody I knew seemed to have at least a little connection to it somehow, or claimed to. At six years old, I didn't really understand what any of it meant, but I knew how much the adults seemed to care, and how special the moment seemed to them. The movie immediately became an indelible part of my life. I went to see The Artist yesterday, and since a friend this morning asked me some questions about it, I thought I'd take a moment here to record a few thoughts, and, more importantly, link to people who have more interesting things to say about it than I do. It's a nice little movie. I really have trouble coming up with more than that. Its clear frontrunner status in many categories going into the Oscars is a bit baffling, but not inexplicable. I can think of three major reasons it's such awards bait, and I'm sure there are more: 1.) it's different enough from other movies released last year to stand out from the crowd, but not different enough to alienate any crowd; 2.) if you know things about movies and you like movies, it makes you feel good for being you; 3.) Harvey Weinstein is distributing it, and Harvey Weinstein is one of the most successful people in the history of the motion picture industry at getting awards attention for his movies. A frustratingly superficial article at The New Inquiry includes a link to a powerfully compelling letter from the Sylvia Rivera Law Project, arguing against added hate crimes provisions in New York's proposed Gender Employment Non-Discrimination Act (GENDA). The letter also includes a very useful collection of links to reference material on hate crimes. Those who “choose to be gay” offer the disturbing possibility that attachments and affiliations can be chosen outside of state-sanctioned norms. That there are ways of living not envisioned in school textbooks. That how we choose to live matters just as much, if not more, than how we are supposed to live. "Stories in the Key of Strange"
A not-strictly-new new piece of mine has just been posted at Weird Fiction Review, "Stories in the Key of Strange: A Collage of Encounters". 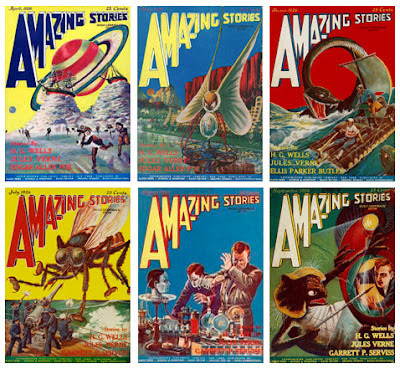 If you've ever wanted to encounter one of the primary origins of science fiction as we know it (for better or worse), now is your chance: the wonderful Pulp Magazines Project has put the first six issues (April-December 1926) of Amazing Stories online. With every passing year, I get more interested in creative people who have done their most significant work late in life. I like late bloomers. They give me hope for humanity in some ways, because their stories are stories where the climax doesn't come in the first chapter. 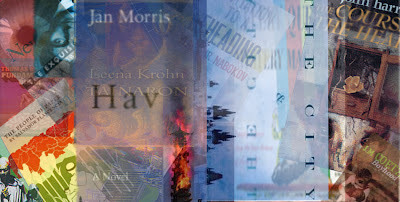 Thus, I was interested in Rick Gekoski's post at The Guardian titled, "When novelists reach the end of their stories", which I hoped would explode the myth that novels are best left to the young. Alas, it is youth-worshipping claptrap, built on a vastly incomplete set of examples used to prove an imaginary rule. Most recently, she wrote a post titled "Writing American Empire" that collects a nice range of ideas about U.S. novelists and the lands the U.S. has been occupying, invading, bombing, etc. recently. Trying to summarize the different points of view would likely distort them, so I'll just exhort you to head over to the KR blog to see what it's all about. If you've ever felt either excited or queasy about the phrase "cultural appropriation", this is a discussion you should read. 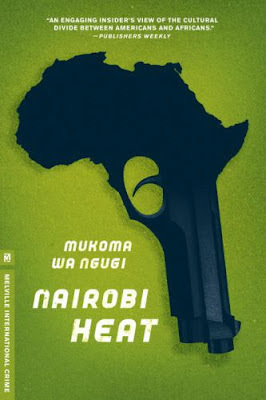 I read Mukoma wa Ngugi'sNairobi Heat (part of Melville House's International Crime series) a few weeks ago, but haven't had the time to write much about it, so what I say here is likely to be more general than it would have been before. Though I think the novel has some significant flaws, those flaws are mitigated, for me at least, by a number of real strengths, and in the weeks since finishing it, moments from the novel have scratched through my thoughts and memory. For that reason, I think it's a book well worth reading.